Coconut production, India, 20th century. 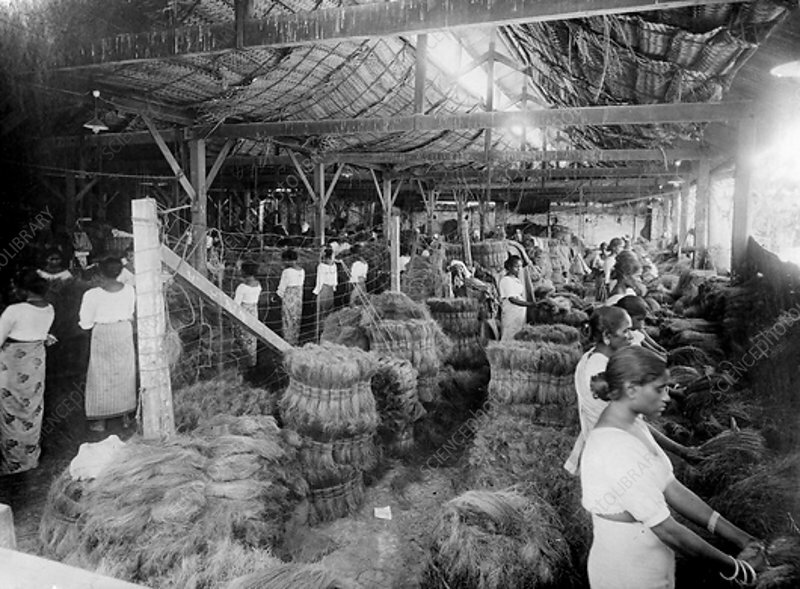 Women producing coir, fibre made from coconut husks, in a factory. It is used to make rope, sacks and household items such as doormats.